Our Challenge: Make a Digital Strategy that works for a coffee capsule business. We gather all our team to start thinking how we can bring value to the consumer visiting a e commerce website. With that in mind we created a taylored website site and social media experience for the consumer that will only show content that is relevant for them based on the consumer experience with the products. IE: Browsing to buy, already a owner, browing to see new coffee blends, etc. 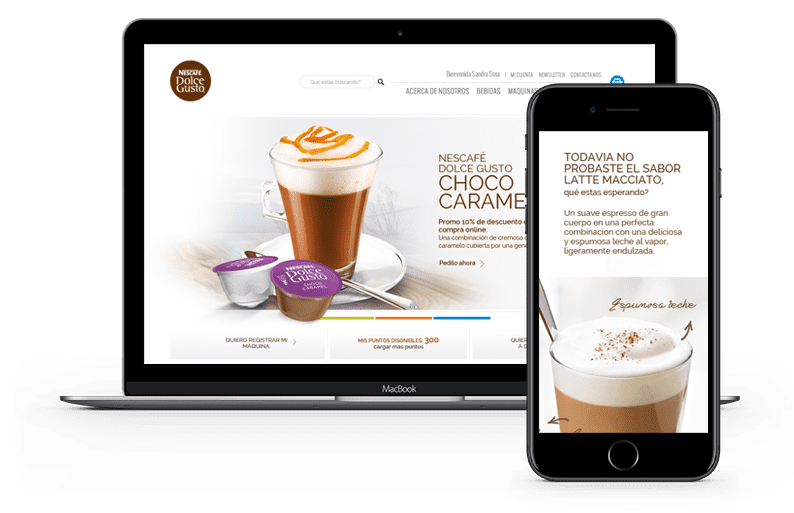 We created a world class website that will show content to the user based on their experience with the brand and products. If the customer is browsing for a machine we would show them in the front page the latest of the greatest coffee machines we build, promotions, bundles, etc. 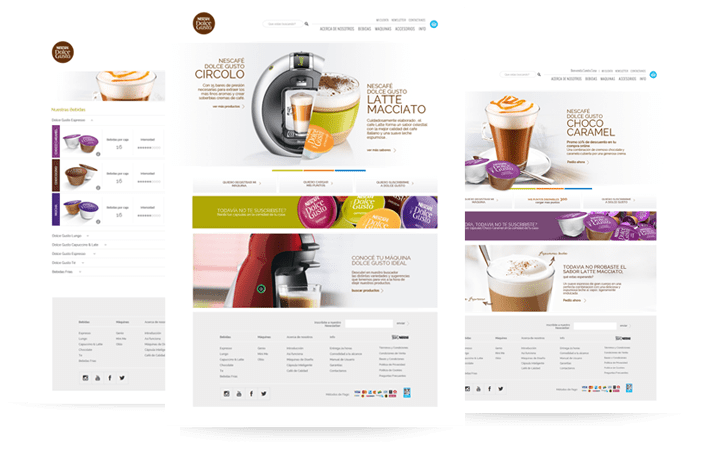 Now if the user already registered a coffee machine we would remove all mentions to this product and show them the latest blend based on previous selections from the consumer, also bundles or promotions for tasting. Also crafted a e-commerce experience that allows consumers to buy all the capsules they want with only one click and then directly to the check out process. Last but not least we implemented a subscription service for coffee lovers that allows recurrent customers to get best offers, free shipping and a never ending supply of coffee. After 6 months of launching the campaign the sales on the e-commerce triplicated the same period one year before. The exit rate was reduced from 76% to 28% in the same period and the average per customer purchase was 3.5x.